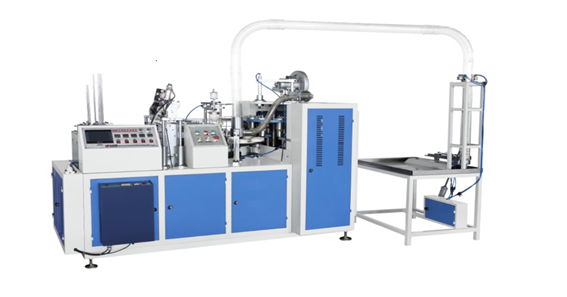 Price: Rs 6,90,000/ machine with one set mould. Medium -Speed Paper Cup Machine AV921 is a multi station high-speed automatic machine producing both single and double PE coated cups,ice cream cups through continuous process of automatic paper feeding,sealing,oil injection,bottom cutting, heating,knurling,curling and stacking.The machine adopts hot air system,PLC control,servo motor driving,full - automatic failure warning,counting,detection,stopping and so on. Voltage supply 220 v 50hz single phase/ 380v50hz 3-phase (better to use 380v50hz 3-phase) * If user's voltage supply is different,please inform us in advance.